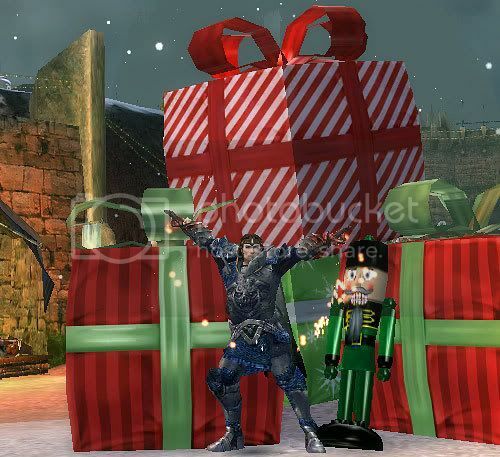 I’m celebrating the sanitized Saturnalia you call Christmas in the game world of Guild Wars, where we call it something more straightforward: Wintersday. This Christmas, forget the fairy tales about Santa Claus and Baby Jesus. Saint Nicholas of Myra is long dead, and the philosopher Jesus of Nazareth was born in September. Celebrate this Holiday Season for what it has always been since the days when winter gave people an excuse to break free from the daily grind of working in the fields, long before the Christian church and big business bastardized and exploited it: a time to cast off the yoke of social norms, a time to go wild. In other words, it’s time to play. Happy Fourth Anniversary Guild Wars!